Torii Kiyonaga (1752–1815), detail taken from Sode no maki (Handscroll for the Sleeve), c. 1785. Discover Japanese prints, paintings and drawings like no other. Explicit, beautifully detailed and often brightly coloured, these works, produced between 1600 and 1900, inspired Toulouse-Lautrec, Rodin and Picasso. 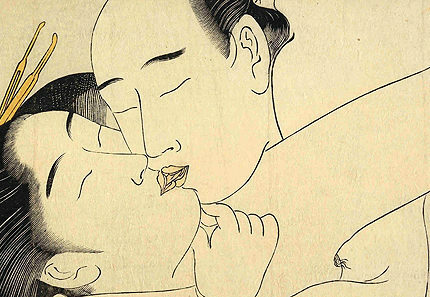 Within Japan, shunga has continued to influence manga, anime and Japanese tattoo art. The exhibition sheds new light on this taboo art form within Japanese social and cultural history. Parental guidance advised for visitors under 16. Supported by Shunga in Japan LLP. Part of Japan400.